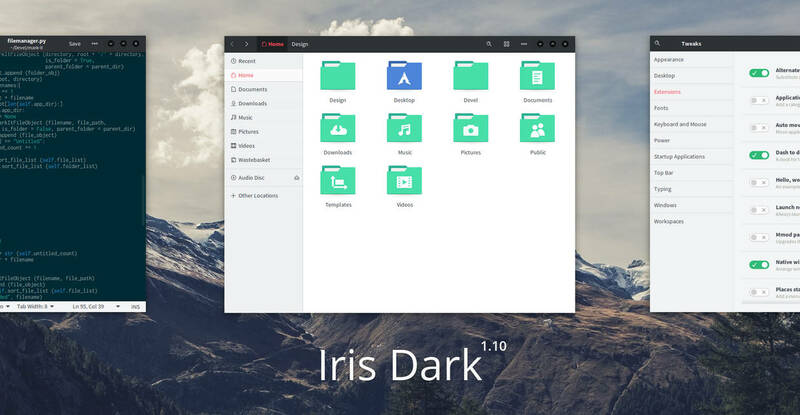 Iris Dark is a flat theme that uses varying shades and tones to create distinction and a modern experience. 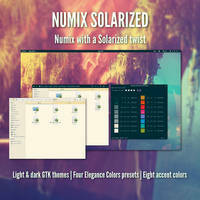 It supports Gtk 3.18 and Gtk 2 (using the Murrine engine). 2015.04.25: Gtk 3.16 support, fixed Gtk 2 bugs. 2015.02.11: Fixed moar bugs! 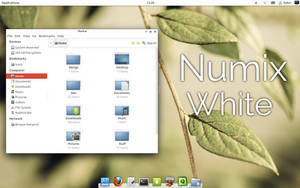 Gtk 3.14 now supported. 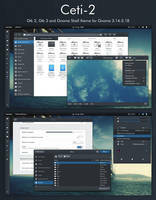 2014.09.04: Fixed many bugs in Gtk 2 treeview, add Nemo theming, fixed Popover issues and added Budgie Desktop theming. Slight changed in menu colours. 2014.08.04: Fixed bugs with Java app menus and distortion of insensitive menu items in Gtk2. 2014.06.23: Hacky support for new aura-based Chrome. 2014.05.10: Updated to Gtk 3.12 and added support for new Unity theming. 2014.03.16: Fixed bugs in Chrome as well as other tweaks. Rename the file's extension to ".tar.gz" (without quotes) instead of .targz (it's a typo, I believe). Then try again. When does the 320 support coming? Yeah, sounds familiar to me We have a also a project, but all parts of our project are going to school. work on ubuntu 16.04 ? Work on linux mint 17.3 cinnamon? Hi guys... Mmmm... What icon theme si that? 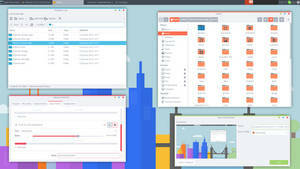 The animation is made by Gtk so you can't change it from the theme. If you scroll to the bottom of gtk-widgets.css then you can modify the bit that says "overshoot" to modify the colours to some extent. 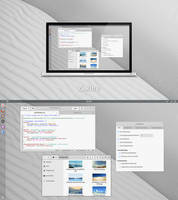 I am using gtk 316 for now. 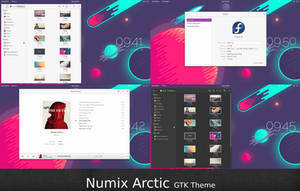 A nice GTK+ theme! 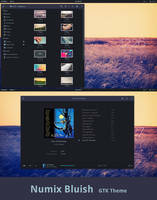 By the way how can i change the roundness of the window title bar on the GTK theme? Thanks for help! 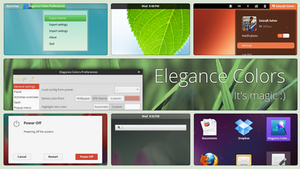 Go to the folder gtk-3.0 and then open the folder titled "widgets" inside. Look for a file called csd.css and open it in a text editor. Now go to where it first says ".titlebar" (on around line 30) and where it says "border-radius: 0 0 0 0;" Replace these zeros with your values, with the first value for top-left corner, the second for top-right, the third for bottom-right and the fourth for bottom-left. So if you wanted a roundness of 4px in the top left and right then you would replace this with "border-radius: 4px 4px 0 0;"
awesome work! wish it would have a full dark theme! This looks amazing!! I'm curious though..what do the caption buttons look like upon hovering on them? The window controls are sort of "broken" if they are on the left side rather than the right side. This is a good theme and should ve updated to 3.18. Hi ! I really love your theme, from screenshots. But I don't know how to install it. Could you please help me installing this ? 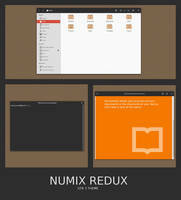 If you download the theme, and extract the zip file, then there should be a file called README. This has instructions for installation. 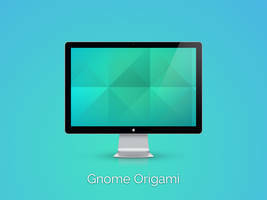 You will need a theme changer like Gnome Tweak Tool or Ubuntu Tweak. Hi, I love your theme!! # text, and background in tweaks settings are white, and I can't read text. Can I fix this bug? What file I must edit for fix it? 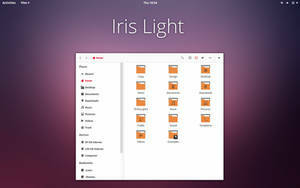 I did start on elementary OS support a while back but I seem to have misplaced the modifications I made. 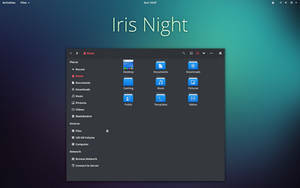 Please note that when the fixes for this come out, they will only be compatible with elementary OS 0.3 Freya, which is the latest release. Hey, I love your theme, great work! 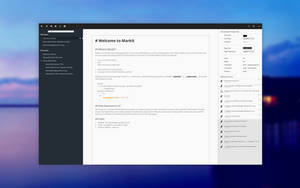 However, I still can't get Chrome/Chromium border to use dark color from your theme (#333333). Changing "ChromeGtkFrame::frame-color = text_color" breaks chromium theming (defaults to default) and text_color has already a proper value anyway. Not sure how to fix this, chrome theming apps are no good since I can't make it 100% consistent with rest of your theme. 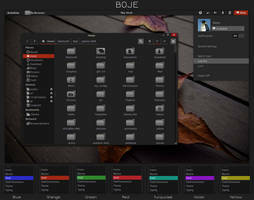 I'm not entirely sure that you can theme Chrome from Gtk2 anymore, since it now uses the Aura engine to render items. The best you can do is use a theme, which may be able to get you close.